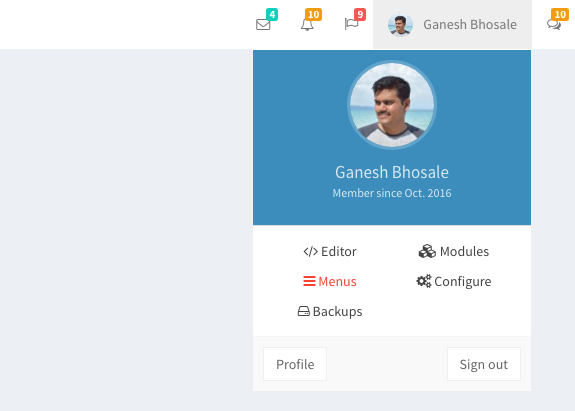 Menu Manager is a small tool to manage your sidebar / nav menus which can either be Modules or Custom Links. 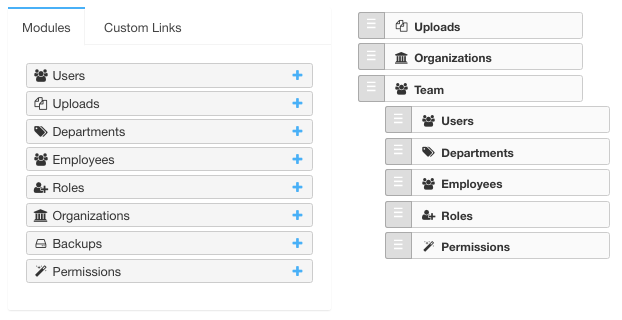 By default while seeding, LaraAdmin puts all existing modules into Menu and create custom parent link Team for user related Modules. 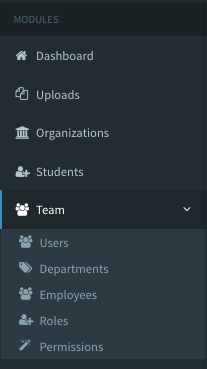 You can open Menu Manager by Menus Option shown in Top Navbar or by url /admin/la_menus.  Menu Manager accepts Modules & Custom Links as Menu Items. 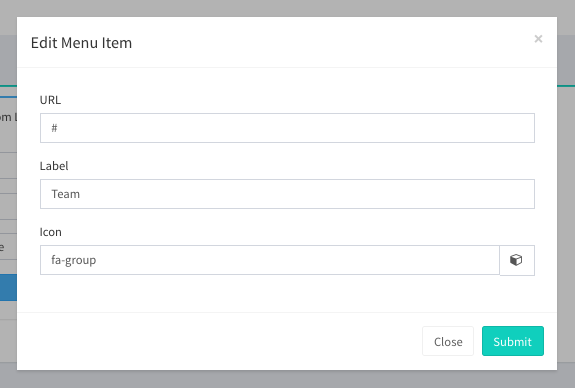 Further it allows user to create hierarchy of Items like WordPress by Drag and Drop. To create Module as Menu Items you need to click button in front Module Name. Menu Item will take Module Icon as default Icon. Creating Custom Menu Item will take URL, Label and FontAwesome Icon. To create a parent Menu Item to hold other items you can use # as url like team example below. You can only edit Custom Links and not Module Links. On mouse over you can see edit option over Custom Link Item. After clicking Edit Icon a modal will open with options to edit URL, Label and Icon of Menu Item. You can delete any menu item by clicking delete button which gets visible on mouse over. 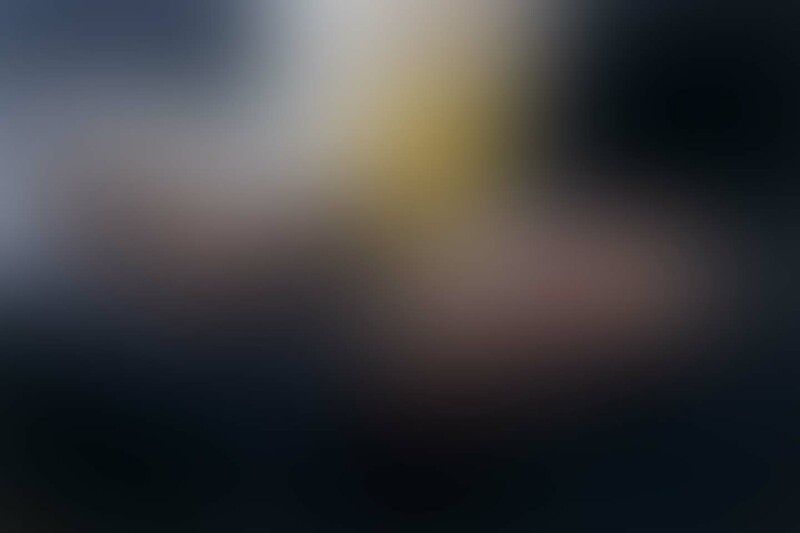 Is this content useful ?